Cayman Port Information Bulletin (CPIB) 10/2017-2 Weather Advisory, Vessel Traffic Port Closure Vessel Traffic – Sea Conditions Time: 11:00 ~ Date: Saturday, 28th October 2017 The Acting Port Dire.. Contact: Public Relations Tel: (345) 949-0623, Fax: (345) 949-4053 Email: pr@caymanislands.ky Photo story For Immediate Release Cayman delegation attends FCCA Cruise Conference in Merida,..
...”Around 70 additional cruise calls are expected in George Town between now and April, according to the Port Authority of the Cayman Islands.” The fully story can be read at Cayman Compas.. 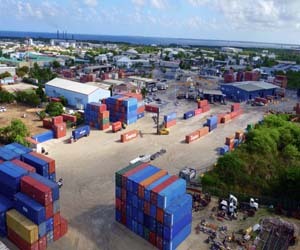 The Port Authority of the Cayman Islands has introduced online payment capability for faster cargo clearance in Grand Cayman. Until now, this was restricted to accounts with pre-cleared credit only. Following t.. Committed to their plans to spark students‘ interest in the shipping industry, the Port Authority of the Cayman Islands (PACI) and the Women‘s International Shipping and Trading Association (WISTA) Cayman I.. 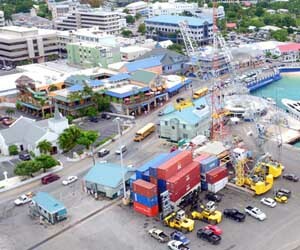 Port Authority of the Cayman Islands Port Director, Clement Reid informs Cayman 27 that in the shipping industry, port efficiency is measured in how many containers are moved from ship to shore hourly. He sta..
7-year old Asher Reid, son of Port Director for Cayman Port has always been environmentally conscious. This was evident in his efforts to help rescue a turtle hatchling washed ashore due to high winds and sea.. The Port Authority of the Cayman Islands celebrated its 40th Anniversary in July and reports that in this time they have only expanded their footprint by 5%. With finite space for expansion, the vision of Cayma.. The Port Authority of the Cayman Islands would like to inform the public that cargo vessels operation will resume as normal at 18:00 on 12th September 2017. The Port Authority of the Cayman Islands would like to inform the public that there are no cargo vessels scheduled on 11th September 2017. The sea conditions are not conducive for ships to discharge cargo. ..